So that's a yes! I'm more satisfied with this week's episode of Second Love. I can now better see the characters themselves and the story has grown balls and is becoming more sensible and grown up! ? OGM those gifs! He's totally adorable! 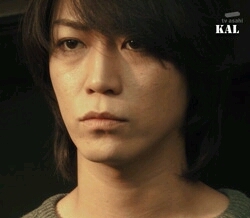 Second Love is getting better (no masterpiece) and a bit of a story it was all I was asking for because our lovely Kame is seriously causing us heart attack! The teaser for episode 3 was such a killer! I wonder how many episodes there will be? Close up of Kame's body are highly encouraged! A note on the background music: the piano piece is really really nice. how many times have you already watched? Thanks and happy Sunday to you too! !